30th August ’13 – Hired as wedding DJ for the evening reception of Mr & Mrs Heyworth at the White Hart in Lydgate, Oldham. Actually the village pub, but also a really nice wedding venue nestled on the edge of the Pennines. Thereafter, they had asked me to play lots of those chart & wedding favourites as well as a couple of Indie/Rock sets for the groom & his mates! Leading us up to a finale to ‘Champagne Supernova’ & ‘Hey Jude’. 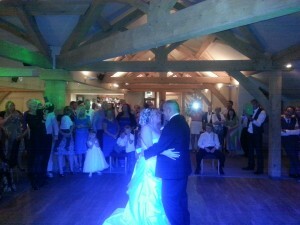 All the very best to Mr & Mrs Heyworth! 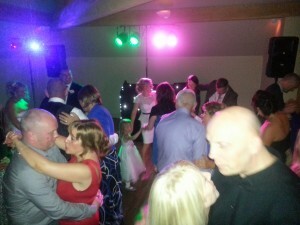 So, if you’re looking for an experienced wedding DJ for your evening reception at the White Hart or throughout Oldham, email your enquiry to andy@andybevents.co.uk As a guide, expect to pay £275 for the first 5 hours. Any additional time is £30 per hour.